Baseball is dead or dying. That’s been the refrain from people not paying attention for the last couple (dozen) years. Baseball might not be the top sport in the United States anymore, but it’s far from dead. And if payrolls are any indication, the sport is healthier than it’s ever been. We’re going to take a look at each team’s Opening Day payroll. And if you ever had any concern about the longevity of the sport, by the end of the article you’ll understand that baseball isn’t going anywhere any time soon. Player salaries have skyrocketed over the last few years. I think a lot of fans assume that money comes from ticket sales and therefore drives up ticket sales. Living in the Milwaukee area, home to the rebuilding Brewers who will go into 2016 with the lowest payroll in baseball, I often hear fans grumble about the major league team’s payroll. “They should lower ticket prices if they’re going to cut the payroll in half,” is something I’ve been hearing for months now. But in reality, player salaries have little to nothing to do with ticket prices. Their salaries have only reached new heights because of the massive increase in TV money that was introduced in 2014. MLB signed new TV contracts with ESPN, FOX, and TBS that went into effect that year and are worth a combined $1.5 billion a year. That’s an increase of $750 million per year over the previous national TV deals. Spread evenly across the 30 teams, that is $50 million per year. It’s an increase of $25 million per team per year over previous national TV deals. And that’s just what each team gets from national TV deals. When you consider each team’s local TV contract, it’s easy to understand why player salaries have gone up so much. The Brewers have one of, if not the, smallest local television deal in baseball. They get around $20 million a year. The Dodgers have the biggest television deal in baseball that pays them an insane $8.35 billion (yes billion with a ‘b’) over 25 years, or $334 million a year. The rich teams are just printing money and even the poor teams are making bank. With that out of the way, let’s get to the meaty part. Here’s every team’s Opening Day payroll. The rebuilding Brewers have the distinction of owning the lowest opening day payroll at $63,908,400. The Dodgers own baseball’s largest Opening Day payroll at $249,781,483. As I noted above, in the Brewers and Dodgers, we’re looking at the two teams with the smallest and biggest TV deals respectively. So it’s not surprising to see where they’ve ended up on the global payroll scale. The difference in Opening Day payroll between the two clubs is $185,873,083. Counting the Brewers, that’s more money than 26 teams have spent on their individual payrolls! Despite the Dodgers spending an insane amount of money, the American League East still reigns supreme as the ultimate rich division. It’s not that surprising with both the Red Sox and Yankees living there. 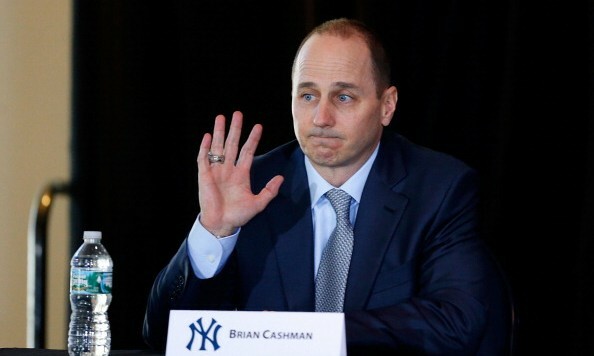 Boston is just shy of $200M and the Yankees have spent just over $225M. The money in baseball has never been larger. The sport has never been healthier. So the next time you worry about the best game in the world going away, just come back to this page and remember that it’s in a very good place. And when someone tries to tell you that baseball is dying, after you’ve finished laughing at them, go ahead and direct them here. Derek Harvey is a writer The Outside Corner, a featured writer for SB Nation's Brew Crew Ball, and a staff writer for Baseball Prospectus - Milwaukee. He's taking over the world one baseball site at a time!